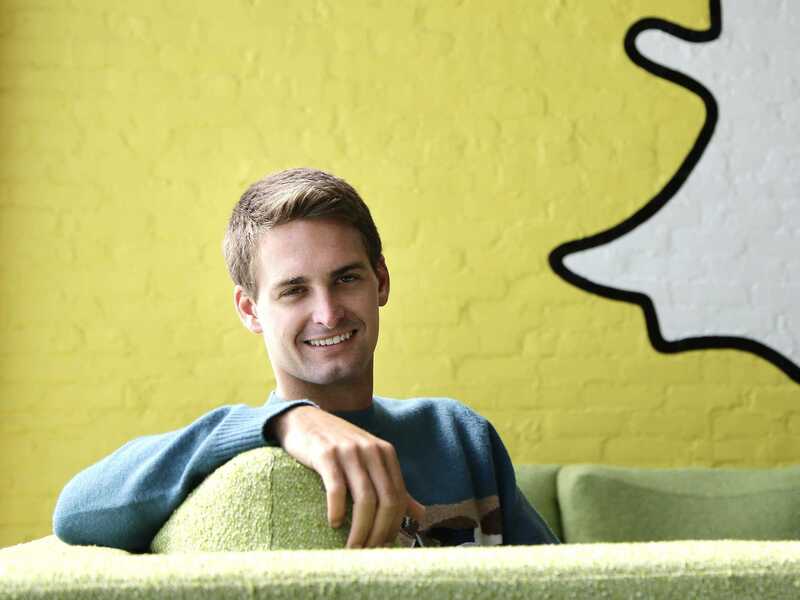 AP/Jae C. HongIn this Thursday, Oct. 24, 2013, Snapchat CEO Evan Spiegel poses for photos, in Los Angeles. Spiegel dropped out of Stanford University in 2012, three classes shy of graduation, to move back to his father’s house and work on Snapchat. Good morning! It’s cold and windy in New York. Bundle up! Here’s the tech news you need to know today. 1. Snapchat has announced a new mobile payments feature: Snapcash. It’s a partnership with Square. 2. Uber has launched a partnership with Spotify that lets riders choose their own music for journeys. Some Uber drivers are worried about the new deal. 3. The CEO of BlackBerry says he has no intention of hiring Kim Kardashian as spokeswoman. The reality TV star recently expressed her love for BlackBerry products. 4. Samsung will make the majority of chips for iPhones and iPads starting in 2016. The new deal is worth billions. 5. Microsoft has unveiled its PowerPoint killer: Microsoft Sway. It’s part of a collection of new apps. 6. Cisco has revealed its Slack killer: Project Squared. It features audio and video. 7. An Uber exec reportedly suggested digging up personal details on a female journalist. The offhand remarks came at a dinner in the presence of another journalist. 8. The cofounder of Pandora plans to build a giant new vacation home. Local residents are angry. 9. Fitbit data is now being used in court. It’s part of a personal injury claim. 10. China has moved to stop people sharing the “Wirelurker” Mac and iOS malware. Authorities have arrested three people.